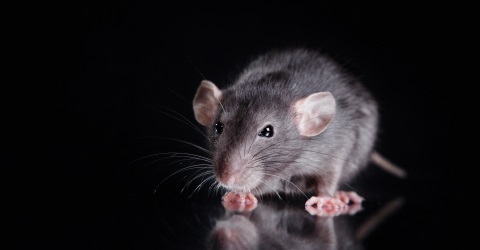 Call Carlisle City Control today for the most effective rodent control services in the area and remove the worry of rodent infestations for Carlisle’s home & business owners! The 2 massive incisors of modern rodents are a marvel of evolutionary success... but a huge liability to modern human life! When you find the unmistakeable signs of rodent gnawed electric cables and pipes; you know your best solution is to hire Carlisle City Control. We’re not just efficient and humane rodent exterminators; we offer rodent prevention and control services on an ongoing basis too. We are the professional rodent control service for business customers & individual householders in Carlisle and the surrounding area. These two are the most troublesome and economically damaging rodent pests in the UK. The house mouse is so adaptable that it lives quite happily in the midst of us humans. In contrast the brown rat has found our larger forgotten spaces fit its needs perfectly. They are known as the “commensal" rodents because of their dependence on our habits! Disease: Salmonella, Hantavirus, Leptospirosis, Gastro-Enteritis and Weil's disease are all damaging to your health and at least 3 of these occur sporadically in Cumbria. These are not trivial illnesses. Food Hygiene: Restaurants and other food processing establishments risk the loss of customer trust and closure of their business by local authorities if mice or rats have been allowed to gain entry to clean areas! Contamination of food storage: Any enterprise that stores foodstuffs can suffer huge losses if rodents gain access to their storage areas. Physical Damage: The threat to the fabric of buildings and the expensive fittings and accessories within is a real burden if rodents get inside houses or business premises. House Mice and Brown Rats have a huge reputation for destruction! Despite their small size they can breed throughout the year and their numbers may grow rapidly! If we leave a lot of food, bedding material and shelter vulnerable to their inquisitiveness we are inviting trouble! 1 mouse or rat will not do a great deal of damage on its own, but a colony will multiply your risk! Carlisle City Control will inspect for signs of rodents & mice. If evidence of infestation is discovered, our accredited and experienced controller will trap, kill humanely and dispose of the rodents’ bodies in the approved manner. Our service is backed up by a careful inspection of your premises and we will give you some rodent proofing advice if we find any particular weaknesses in your defences to stop infestation reoccurring. Our extensive experience of this work means you can rest assured that eliminating rats & mice from your property has been done with regard to professional standards, respect for other wildlife and care for the wider environment. Rabbits: large numbers of bunnies can be troublesome causing damage to crops and occasionally causing a threat to buildings where their burrows undermine structures. There is a statutory obligation to remove wild rabbits from your property. The Pests Act of 1954, for England and Wales has declared the bulk of the country a rabbit clearance area. Modern methods of removal are more humane than the unpleasantness of the introduction of Myxomatosis. Squirrels: Grey Squirrels can cause significant damage to plants and property as well as displacing the native Red Squirrel species. Moles: The only mole species in England is the European mole. The creature is mainly a nuisance to proud gardeners and a little more damaging to farmland where the presence of an extensive population can reduce the productive area by a significant amount. For any Rodent related pest problems Carlisle City Control are the Service you need to call!